I recently purchased a FTDI Basic Breakout board (http://www.sparkfun.com/products/9716) and now discovered that my board is slightly different than the one on Stephen's website. On Stephen's site it instructs you to connect the Atari SIO cable to 4 headers: TX, RX, GND and RI (Transmit, Receive, Ground, Command). The board I purchased has inputs for GND, CTS, POWER, TXO, RXI and DTR. Does that sound correct and does anyone know what the RI (Command) would map to on my board? Thanks Van! I will definitely give AspeQt a shot. Looks like it should work, I downloaded it and found there are CTS and DTR handshake options in the preferences. Sorry I don't understand. Why would I want to cross TX and RX? TxO (from PC) => Atari Rx; RxI(from PC) <= Atari Tx. AspeQt can use RI, CTS or DSR (not DTR, its out from PC). I've wired up the original board listed in Stephens' instructions using "CTS" before and it worked fine that way as well, using AspeQt. I fibished building my cable and I can confirm now that the board I bought (http://www.sparkfun.com/products/9716) works fine using the CTS handshake setting in AspeQt. Is it only me, or are more people getting rather confused by different interfaces with the same name? 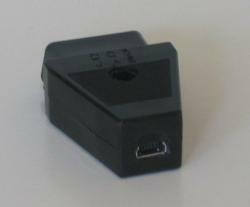 Since 2007 Sio2USB is an interface created by ABBUC/RAF. 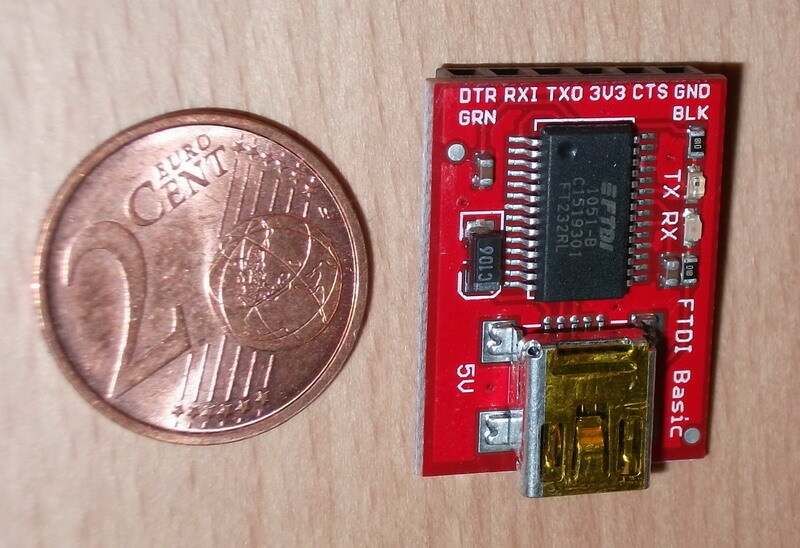 Now there is this Sio2USB from that side the topicstarter writes about. 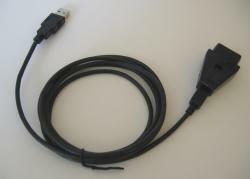 Then there is Sio2PC with USB connector ... some people also do call that Sio2USB. In my opinion this s*cks. In my opinion the ABBUC/RAF version is the only REAL Sio2USB since that one is indeed SIO to USB (stick). All other versions are still a Sio2PC where the pc connection is USB. An original Sio2PC isn't called a Sio2RS232 right? So why would we call a Sio2PC with USB connection suddenly a Sio2USB? The word after the "2" should refer to the (storage)device. Sio2IDE -> the Sio is talking to an IDE drive. Sio2SD -> the Sio is talking to a SD drive. Sio2USB -> the Sio is talking to an USB drive. Sio2PC -> The sio is talking to a PC. In my experience, DSR is more reliable than using RI. The load .xex option of Aspect didn't work in high-speed (normal speed was OK) using RI, but it worked without problems with DSR. I did not get APE to work with the FTDI chip. Has someone experience with APE and FTDI chip USB->serial communication? personally i call it a sio2pc-usb, just to differentiate it from the rs-232 version, and if i need to specify the RS-232 then i refer to it as sio2pc-serial. I might have to get me one of these breakout boards to fit in my 1064 case. Just to add: it works perfect at POKEY divisor 0 with my A8s and SDX, IDE V2 or any other A8 boot disk image from AspeQt. For historical reasons I connected to RI. .....from the abbuc page you linked to above, is one of the coolest Atari things I've seen! HA HA! Now I want the entire Sdrive to fit in there, and have a micro-SD slot in the end of the SIO plug, where the USB connector is, on this one! Nice! I can see this completely replacing any other solution currently on the market. If somebody doesn't own a SIO2PC in any form, yes, this is the currently most recommendable solution. If you already have a PBI driven harddrive etc., this is nice to have but no need to have. The real put through of data is not much more than using a standard SIO2PC with 3xSIO speed. POKEY 0 is 10KByte/s raw transfer and ca. 8.9KByte/s real transfer on 512 byte images with DMA OFF. DMA ON and 256 byte sectors are slower of course. Depending on the settings PBI IDE is 10 to 15 times faster. What I admire most is the integration of real SIO high speed into SDX. Edited by GoodByteXL, Thu Aug 11, 2011 12:25 PM. That's a quality solution right there. 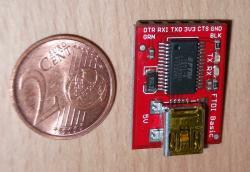 SpartaDOS X users do not need anything else to take advantage of these FTDI breakout modules. SDX generally allows SIO2PC connections down to POKEY divisor 3. Additionally utilizing the KMK/JZ IDE v. 2.0 Plus enables the user to run the connection at POKEY divisor 0 when using the onboard SIO driver. Depending on your customized hardware the limit might be different. Edited by GoodByteXL, Sun Aug 21, 2011 11:49 PM. I believe this SIO2USB is the one you are referring to. i'd like one, but can't afford it. Edited by Defender II, Fri Mar 30, 2012 4:12 PM. If that's the case what do you call an SIO based interface that talks to ANY USB device?. IMO SIO2USB should be a general name indicating "Interface from Atari SIO to a USB device" (whether such interface exists or not), much like the USB interface on a PC. So Abbuc's device should have really been called SIO2USBS (USB Stick) or SIO2USBF (USB Flash drive) instead of monopolizing (perhaps unintentionally) the acronym SIO2USB.